There will be no public transportation on Shabbat, Transport Minister Yisrael Katz said Wednesday. There will be no public transportation on Shabbat, Transport Minister Yisrael Katz said Wednesday. Recent campaigns to promote bus travel on Shabbat were “being led by leftist activists,” Katz said, and the government was committed to ensuring that the “status quo” on religious matters – which includes continuation of long-standing bans on public activities, such as transportation, on Shabbat, will continue, he said. On Tuesday, Meretz MK Tamar Zandberg said she would propose a bill that would allow public transportation around Israel on Shabbat and holidays. According to Zandberg, "Israeli governments take the right of free movement away from anyone who doesn't own a car for two months each year. Not having public transportation on Shabbat is the central obstacle to having high-quality public transportation." Last year, Meretz ran several bus routes on Shabbat, paying for the buses and allowing riders to ride for free. Those who want to allow buses to travel on Shabbat are free to pursue legislation, Katz said, but they were not really interested in bus transportation; for the activists behind these campaigns, it's all politics, said Katz. “The campaigns that several groups are running today to push for public transportation on Shabbat are just a continuation of the political campaign the left ran against the Likud during the recent elections, part of the “anyone but Netanyahu” campaign of the left,” said Katz. 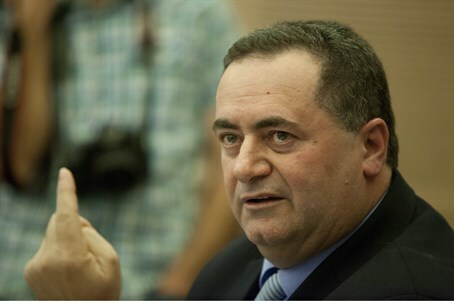 Katz was Transport Minister in the recently-fallen government of Prime Minister Binyamin Netanyahu. He is expected to retain that position in the new government Netanyahu is forming.